Veronica - The sky above us is becoming very lighted. Oh, its in the - the light is very, very mysterious. And as its coming forward, its forming a huge, brilliant, diamond, glowing star, a beautiful star. Now the star itself is opening up and there, as though coming from a picture portrait - I cant place it in words exactly, how to describe this to you - a tremendous star. And right in the center of it - its covering now the whole sky above us, over our heads, and I would say also to the rear of our heads. Oh, and Our Lady is coming directly through that star. Shes stepping down as though She was held up on the pedestal there. Our Lady is stepping down and Shes looking all about Her. Its not still up there; there seems to be a wind because its blowing Her skirt back and forth. Our Lady looks so fragile and so beautiful. And theres a light emanating from Her. Theres a light shining that makes Her look so beautiful that there are no human words to describe. Now Our Lady is looking up and smiling. I, I understand She is looking at what just went overhead and making quite a bit of noise [an airplane]. Now Our Lady is smiling, and Shes coming down to almost now - very close to us. And Our Lady touches her finger to her mouth. Our Lady - "My child, I am coming this close because of the multitudes. I do not in any way wish to be disturbed by their seeing Me en masse, My child. "I know you have often asked me to appear to others to make your mission shorter. However, My child, I must go under the direction of the Eternal Father, and He wills it at this time that no more than five be given this sighting. You will explain everything that I tell you, My child, of this visit." Veronica - Now Our Lady is turning to Her right and looking over. And now I see something that Our Lady has in Her hand that I never noticed before during all the years of the apparitions. She has a crucifix - no, not exactly a crucifix, but a cross like mine. But theres no corpus on the cross. Our Lady is smiling. Now She is placing the cross right next to Her, and the strange thing about it, I dont see the cross setting on anything like a table. Its just suspended next to Our Lady by the air. Thats the only way I can explain it. Our Lady is shaking Her head, yes. Now Our Lady is placing Her finger to Her lips. Our Lady - "My child and My children, and especially you, My child Veronica, I wish to explain to you the urgency of calling you upon the grounds this evening. "Your strength is not as proficient for you as in the past, My child. I would advise you to not try to do too much at one time. I know, My child, what you are saying interiorly to Me, that I do not feel that I am losing any strength. That is because what you will and what you can suffer do not coincide, My child. I will ask you in your own language to take it a bit easy. We do wish to keep you upon the earth for some time. 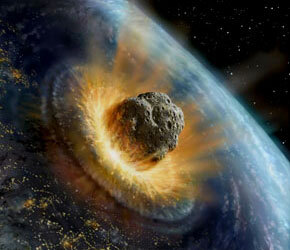 "Now, My child, you will tell mankind that there is a terrible punishment scheduled for the earth. If you, My child and My children, all who hear My words, will go forward as soldiers of peace this time, because - I say peace, because your country will soon be embroiled in another war. "Your prayers must rise to Heaven, and I will accompany them before the Eternal Father. Perhaps, My child and My children, there is hope for mankind. The next war will embroil many nations. It will be a war to the finish. Man has gained much knowledge, not to prevent destruction, but to maintain it for their own gluttony, their own loss of face, and for the belittlement of his fellow man. "Know, My children, the Eternal Father watches, and We in Heaven are all knowledgeable of what is in store for mankind. The Ball of Redemption hovers now in your atmosphere. It is through the will of the Eternal Father that I come to you this evening to warn you that the Eternal Father grows weary of your reasoning, of your lack of faith, of the despoiling of your children. "Parents, your children will one day scorn you if you do not show them a true expression of love and give them the seeds of the Faith. Without these seeds, they will be lost to mankind and to Heaven. "My child and My children, do not be afeared at My words. I do not come to punish nor to make you grieve. I come as a Mother of truth. Heaven cannot allow the despoilment of the young souls. All parents who do not guard their childrens souls as well as their bodies shall be held accountable in their last days. "My child and My children, I often cry in My time and My trip throughout the world. I know what is in store for mankind. Several years ago I brought you the knowledge of the Ball of Redemption. Though you cannot see it now, it still hovers over the world. I ask you now, can you not turn from your ways of despoilment? Your children are suffering as they are left to roam, to make their own decisions without the guidance of the family. "My child and My children, please, the Ball of Redemption shall be sent upon mankind if he does not heed the measures that I have given you tonight to save your country and other countries of the world. Little children are left to roam, to make their own decisions while the parents go merrily on their way, not thinking of the souls that they had to guide. Many parents have now lost their way. They have become embroiled with mankind and not God. "Parents, teach your children the words of the Bible. Make the Bible a necessary book in your home, not something that may be given to you as a gift by mankind, but as a gift from the Eternal Father. Read this Book to your children. They are thirsting for the knowledge from God. Only you as parents can save them. "Do not feel, parents, that you are doing unjustment to your children when you reprimand them when they do wrong. You must keep a stern attitude also toward the rearment of your children. Many will die in the great flame of the Ball of Redemption. How many will be saved, the count is only known by the Eternal Father. "My child and My children, please, I ask - Im willing to beg you as your Mother to save your children and also in the end, save your own souls. "My child, you will sit back and wait, because I have a great surprise for you in a short while, but I am now stepping back as I have a conversation with someone, My child, who you know." Veronica - Oh, over Our Ladys side, on Her left side, I see the sky opening up and - oh, its Jesus! Hes standing right next to Our Lady on Her left side. And Hes wearing a long, sort of an ecru-colored gown and sandals. I can see His feet from down here. He has on brown sandals. They look like leather; I think theyre leather. And He has on a cape, an ecru, almost white-colored cape over His gown. Its quite, its quite a bit chilly over here. That is why I would assume that Jesus is wearing His cape. Our Lady - "My child, sit back and rest. I am not finished with the discourse with you, but now you must read some very important photographs." Veronica - Right now I see a large star up above the tall tree at the right side of the banner. Now this star is growing very large, an exaggerated form of the star. But oh, I can see why because the star now is covering the whole area of the trees, beyond the trees and down towards us; it seems to be increasing in velocity or whatever you want to call it, this expansion of the star. Now oh, right in the center I can see Him now - I know who it is because He did say He would come late this evening. I know its Jesus. Now Hes coming closer, Hes coming closer now. I can see Him very clearly now. He has a beautiful golden - tinged robe about Him now. Its pulled very tight, I dont know if its because of the wind or what, but Hes pulling the gown about Him to prevent it from flying up, I guess. It looks very windy there. And the robe over His gown has - its tinged in some kind of fur, but its sort of scintillating, or sort of shining. I never saw anything like that, as though there were some fragments of diamonds in the fur. I never saw anything like that on earth. Now Jesus has come over by the tallest tree, directly in front of us there. Jesus is standing there. I can see He does have shoes on, some kind of slippers. Now Hes looking all about Him, and He appears to be smiling. That, of course, makes me feel very relieved. I didnt know why He came so late tonight, but Hes smiling. And now Hes placing his fingers to His lips, like this, which means to listen and repeat. Jesus - "My child and My children, My Mother* had an urgent message for you, and I come now at this late evening not to enlarge upon it in full. All I can say to you is you must all pray more now, if not for your immediate families, but for those you know who are not in the grace. "My child and My children, I do not come for a lecture to Our children upon earth. All I can say is I want and I wish that all of you would pray more and by good example bring others to Us. I call all of Our children here this evening the circle of light. "There will come upon the earth a great trial soon. Many will be lost. I will not enlarge upon it because you, Veronica, I have told you countless times not to discourse on the punishment. "Now I want you to listen to Me quietly, My child, I have something to tell you. You will not repeat it until I tell you. " Veronica - "Yes....No. Real - Oh, no - I dont know....Does it, does it have to happen?... I understand. It is something so horrible that it cant be spoken of." Jesus said that I must repeat that many have forgotten the warning given through countless earth - years of the coming of the Ball of Redemption. Many will die in the great flame of this Ball of Redemption. Only the prayers of those who care for their fellow men have prevented this from coming sooner. Jesus - "My child and My children, I come as an emissary from God the Father, My Father and the Father of all mankind upon earth. I wish at this time to stress anew to you that many must go forth now as angels of light - angels certainly My children, without wings, but no less an angel." Jesus - "You will continue, My children, with the prayers of atonement. And I must tell you the time is, in earth time, growing short. There will be a great Chastisement sent upon mankind. You will recognize this when you find out in the atmosphere a huge, immense ball of light. Do not be affrighted, My child. Your scientists will be bewildered. It is the little people who will know the truth. "Now, My child, you will sit back and rest. But remember, the message to the world is urgent. I do not want to place upon you, My child, the burden of knowing the full results"
*On Wednesday, June 22 at 10:15a.m., Jesus exclaimed to Veronica in locution: "She is the Star of Heaven." In the Litany of the Blessed Virgin Mary, Our Lady is invoked as the Morning Star, symbolic of Her brightness and preeminence in Heaven.